Narppa (48 m2) has beds, loft included, even for 8 persons, but we recommend it for 1-4 persons. 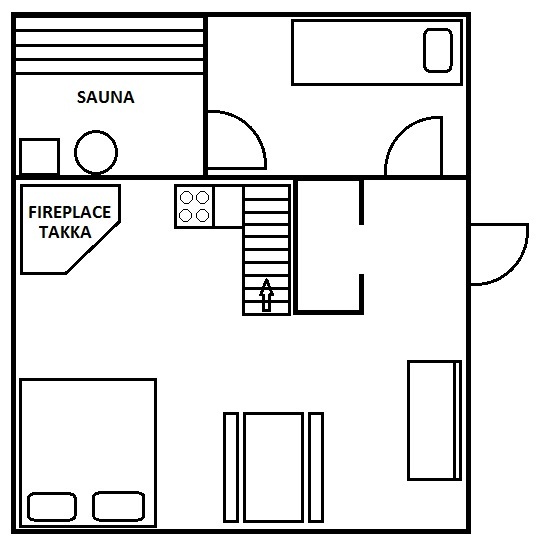 Cabin has combined living room and kitchen, bedroom / dressing room, loft and sauna. 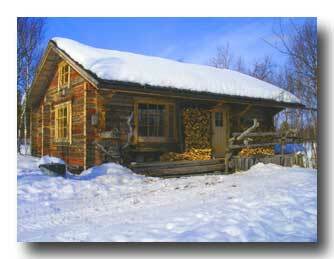 No electricity or running water. 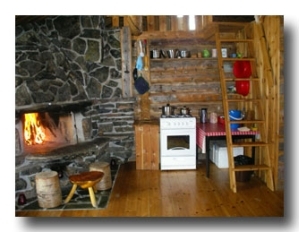 Cabin has a liquid gas cooker with oven. Heating by gas heater or fireplace. 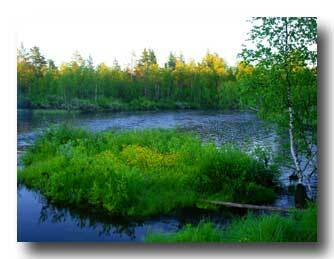 Drinking and washing water from the river. There is a container for heating water in sauna. There are basic cooking and dining set in Narppa. 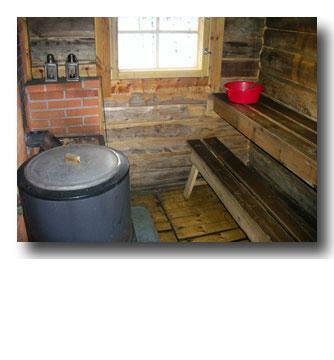 Dry toilet behind the cabin, fireplace also outside by the river. 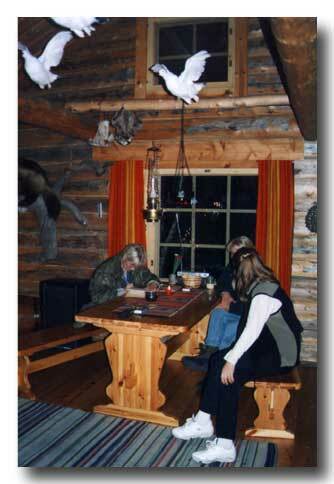 Fireplace made of nature stones, candels, 100 years old block walls and filled lappish animals gives an unique atmosphere for the Narppa cabin. 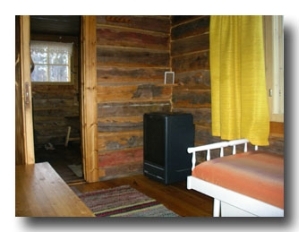 Located about 1 km from the Ounasloma reception, nearest inhabited building 200 m. In summer access to the cabin by car, in winter car must be left 400 m from the cabin and continue there by walking or skiing.